Any business that deals with the unenviable task of collecting on invoices knows it’s a hassle. B2B companies often wait 30-90 days, or sometimes longer, for a client to pay them in full—and in the meantime, their own cash flow needs pile up. If waiting to be paid prevents you from balancing your accounts receivable turnover ratio, building good credit, or otherwise running a successful business, you might consider turning your invoices into a source of funding with either invoice financing or invoice factoring. These two forms of financing—collectively called accounts receivable financing—are similar, but a few key differences will help you decide how best to proceed. 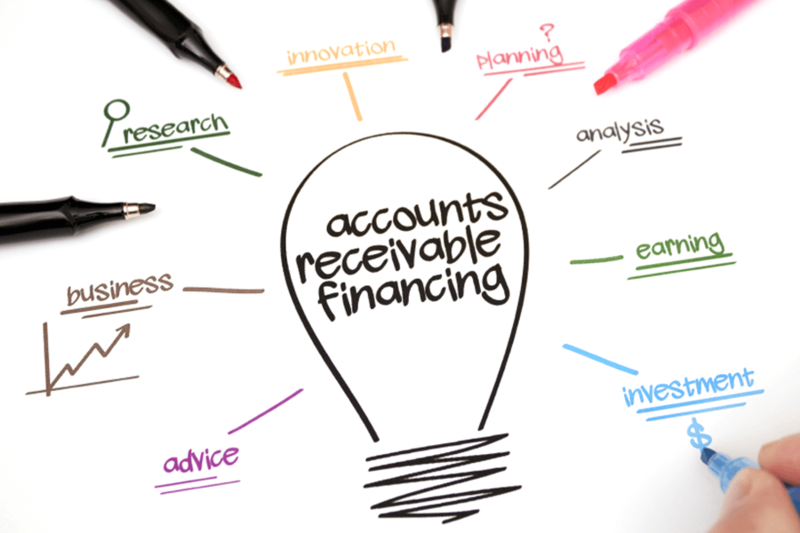 Why would a business finance their accounts receivables? There are benefits to both kinds of accounts receivable financing, which we’ll get into below. But the question for either choice is: why choose this type of financing over another kind of lending, such as a traditional business loan? And is it required for businesses to do it all? First of all, as with all financing, accounts receivable financing is only something you should do if it adds value to your business or increases your ROI. If your choppy cash flow prevents you from staying on top of payroll, or you are spending too much time chasing after clients, you should consider this option. It’s fast: You can get funds for your invoice in as little as one business day. Almost anyone can qualify: If you have outstanding invoices, lenders will be interested in lending to you. Your revenue or time in business—both very important when applying for a traditional loan—aren’t as relevant here. Smoother cash flow: Knowing you can use your invoices to get an consistent income—even if it’s less than what you’re owed—will help you pay bills and staff without a hitch. Note that lenders will likely still check your credit score and will look to lend to credit-worthy people and businesses. Invoice financing is the act of borrowing money against your outstanding invoices. A lender will give you the majority of the amount of your invoice now, and you pay the lender back once your client delivers their payment. In this scenario, you typically receive a minimum of 85% of the invoice. Lenders then charge a processing fee (typically around 3% of the total invoice), and then a factor fee (typically 1% a week until your client pays). When you finance an invoice, you are still responsible for collecting the money owed by your client. If slow invoice payment is only an occasional issue for your business, and you have a good relationship with your clients, invoice financing is likely your best option. Invoice factoring is a form of invoice financing with one key difference: The lender outright buys your invoices, and takes over the responsibility of collecting from your clients. You receive part of the invoice total upfront, as well as the difference for the full amount once it’s paid—minus a substantial fee for their service. Typically, businesses will receive a maximum of 85% of the invoice—though companies that enter into agreements with lenders to regularly factor their invoices will get a better deal. Factoring is more suitable for businesses who wait 60-90 days or longer for their invoices to be paid, or struggle to recover outstanding invoices. What are the pros and cons of Invoice Financing and Invoice Factoring? Don’t just flip a coin when choosing what to do with your invoices. It’s more than likely that either invoice financing or invoice factoring will be better for your business. Invoice financing is generally the cheaper of the two options, depending on how long it takes for your client to pay you back. Lenders usually charge around 3% of the total invoice for processing, then a “factor fee” of 1% each week that the client takes to repay. You’ll also get greater flexibility and privacy when you do invoice financing. You can choose to finance the occasional invoice and not worry about getting bulk deals, as you might want to do with factoring. And since you maintain control of the invoice, you’ll continue to interface with your customers—not disclosing that you’re outsourcing the collections aspect of your business to a third-party. Invoice factoring, on the other hand, is the more expensive option. You can enter into consistent agreements with lenders to drive down the price-per-invoice factored, but you’ll still likely max out at receiving between 80-90% of the value of the invoice. You may also not want customers to deal with a debt collection service instead of with your company when they are ready to pay. On the other hand, if the hassle of collecting on your invoices has become too much, it may be worth the investment to simply outsource the process altogether. You won’t risk outstanding payments that can negatively impact your credit score as well as bottom line anymore. Unlike traditional business loans, accounts receivables financing requires just a few important documents in order to get started with a lender. The outstanding invoices you want to borrow against or sell. The amount and terms of your invoices will primarily dictate how much funding you’ll receive; however, some lenders will consider your credit score and business financials as well. The first step in choosing between invoice financing and invoice factoring is deciding whether you need financing at all. You might want to explore online payment systems or offering discounts to your clients for early payment. Only you and your accountant know whether your outstanding invoices are enough of a detriment to your business that financing or factoring is a responsible option. Once you decide to move ahead with accounts receivables financing, the kind of business you own and the clients you have will help dictate which direction you go. From there, it’s up to you how to use your more consistent cash flow. Our guest post today was written by Meredith Wood. She is the Editor-in-Chief at Fundera, an online marketplace for small business loans that matches business owners with the best funding providers for their business. Specializing in financial advice for small business owners.